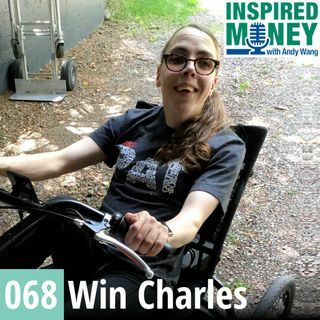 An inspiring journalist, author, podcaster, artist, and athlete, Win Charles has never let cerebral palsy define her or stop her from doing anything. She is a force! In this episode, you will learn: How a can do attitude can carry you far, even in the face of physical disability. Win's mindset of just rolling with it is advice that can benefit all of us. Rather than putting a focus on our differences, we should come to understand what we all have in common.